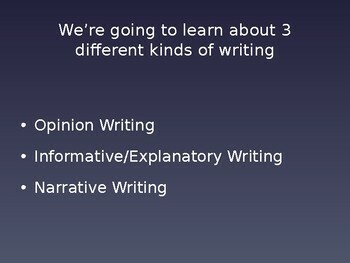 This PowerPoint goes through the 3 kinds of writing: opinion, informational and narrative. 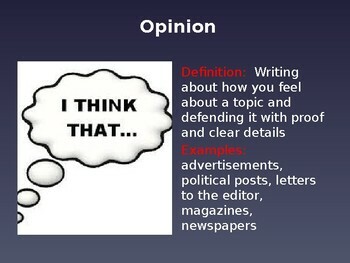 Students get a definition and examples of each. They then have to look at pictures of different kinds of writing and determine what each one is. 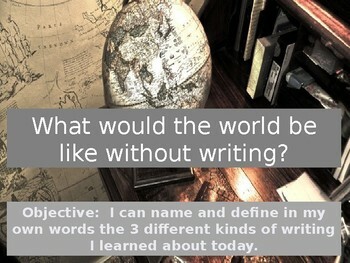 They then read prompts for writing and determine what kind of writing they would need to do for each prompt. 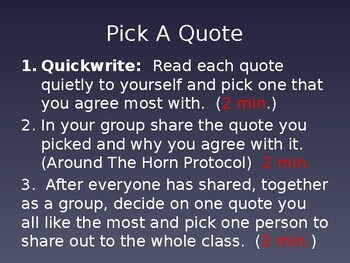 This comes with a handout that students fill out as the teacher goes through the presentation. You can download the student guide for free in the upload preview file.